"Gin?" you ask? Isn't this a whisk(e)y blog? 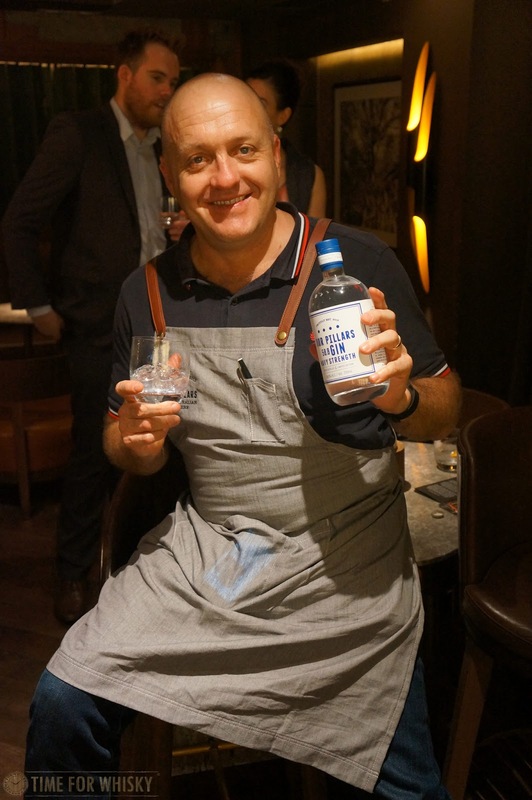 Sure, but unlike that other white spirit, gin is a spirit we find interesting, characterised by flavour (rather than the lack thereof), and enjoyable. Plus in this case, we're talking about a craft Aussie spirit (one of our favourite topics) that also happens to be bloody good. 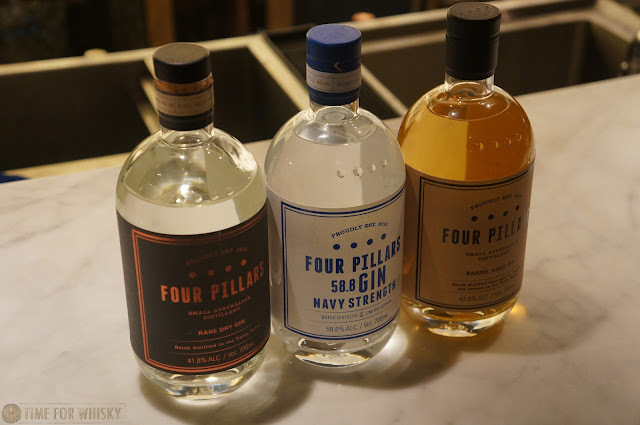 Four Pillars hasn't been around for long (having started life as a crowdfunded project in late 2013), but has quickly established itself as a world class gin, taking out Double Gold at the San Francisco World Spirits Competition and a Silver at the London IWSC, as well as a recognition at Tales of the Cocktail. When the gents from Red Willow (purveyors of Four Pillars and other fine spirits & whiskies, and also the team behind the new Tramline Liquor Co shop in Kennedy Town) asked if I wanted to drop by one evening and share a G&T with Four Pillars co-founder Stuart Gregor, they didn't need to ask me twice. 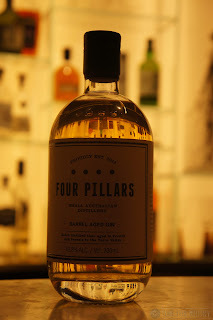 Four Pillars use a still ("Wilma" - her name's on the bottle) from Christian Carl in Germany, which Stuart says you'd "have to be an idiot to stuff up". Clearly it's working for them - with Four Pillars now second in its class in Australia (only 18 months after release), and getting attention on a world scale. The gins use 10 core botanicals (though some releases, like the very limited Spiced Negroni Gin, use different botanicals) and the spirit comes off the stills at a hefty 94% ABV. The botanical basket is filled with orange halves during distillation, giving the gin a citrusy, but not bitter characteristic. No wonder it works so well in a Negroni! The latest release, the Barrel Aged, sees the gin rest for 6-9 months in French Oak ex-Aussie Chardonnay casks from Yarra Valley and Mornington Peninsula. 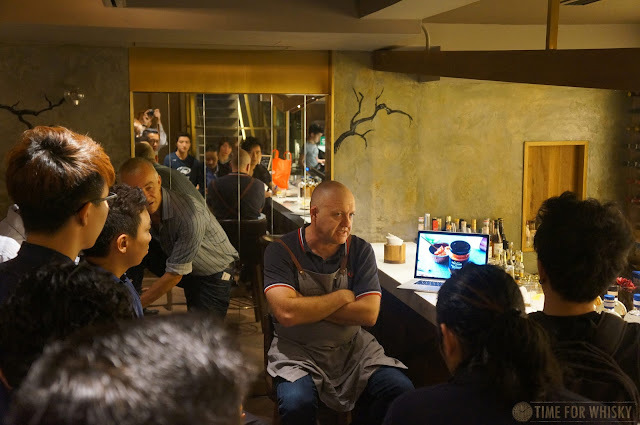 When asked how they know when to bottle, Stuart said that with a whopping 9 casks in total, they just taste each one - "takes about 20 minutes". Stuart described it as a "whisky drinker's gin", and he was spot on. I don't love every barrel aged/rested gin I've tried, but I did really enjoy this one. 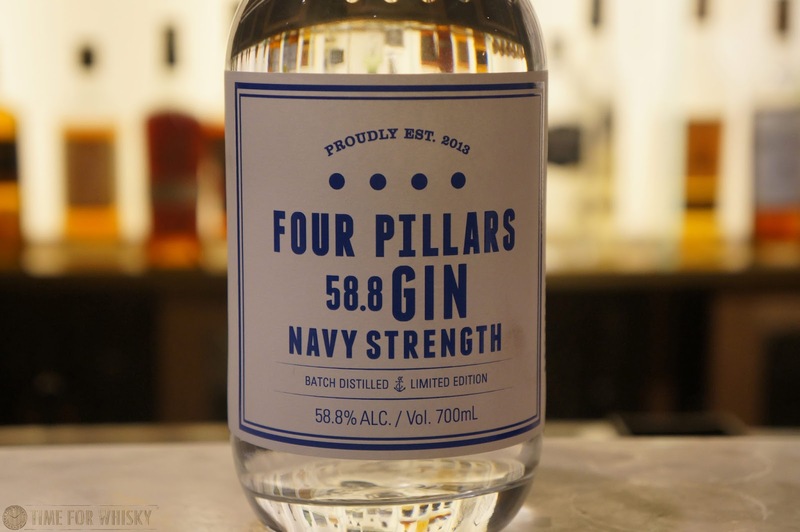 The "Navy Strength" (previously "Gunpowder Proof") packs a punch at 58.8%, but works well in a variety of mixed drinks, as well as on the rocks. All three were enjoyable (we were already huge fans of the Rare Dry in this household), and made fantastic and very different G&Ts. A gin for every occasion. Thanks must go to Mark and Adam from Red Willow / Tramline Liquor Co for the invite, and Stuart (and his lovely wife) for giving up their time to talk us through their gins. Four Pillars can be purchased from Red Willow's online store in Hong Kong, and all good bottle shops in Australia.